Baidu search engine is the best and very simple search engine very famous in China. Baidu was established in 2000 by Robin Li and Eric Xu. … Baidu has the 2nd largest search engine in the world, and held a 76.05% market share in China’s search engines market, the largest in the world, as of April 2017. In December 2007, Baidu became the first Chinese company to be included in the NASDAQ-100 index. On top of that, Baidu’s share has consistently grown in recent months, Net Marketshare data indicates. For instance, back in March, its share was rated at 16.77 percent. Fast forward to June, and that number has risen, without any drops in between, to 18.03. That’s a growth rate of almost 1.3 percent from March to June – not bad at all, considering that Baidu’s competition consists of some of the biggest tech and web companies in the history of the world. Plus, their U.S. penetration is likely close to nil at this point. 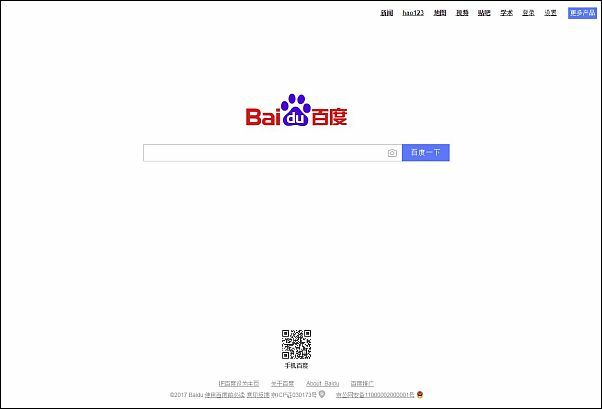 Though Baidu is the search engine of choice for many Chinese people, the company has made moves to woo the interest of English speaking developers. Back in 2013, Baidu launched an English-language site tailored towards devs. They have even hired people away from Google, like Andrew Ng, the company’s former head of artificial intelligence. Though Google’s search engine share easily trumps Baidu’s at this point, could we someday be saying “Baidu it,” instead?